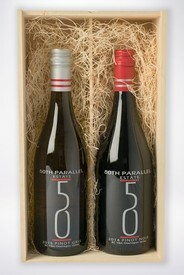 Six-bottle, custom-made solid wooden box with lift lid. 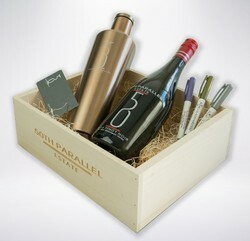 "Build Your Own" Wine Gift Set with specific 50th Parallel wines and exclusive products in this custom wooden gift set box. 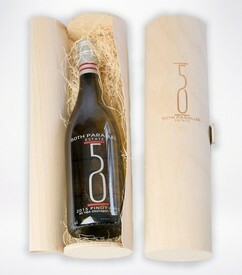 Two bottle slider box with custom logo. 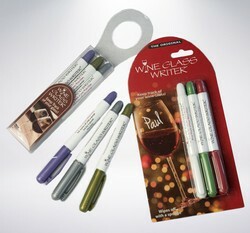 The Vinnegabo is the modern canteen keeping any cold beverage ice cold for a full 24 hours! 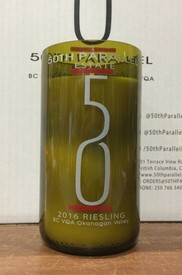 Fits one bottle of your favourite International award-winning 50th Parallel Estate wine.